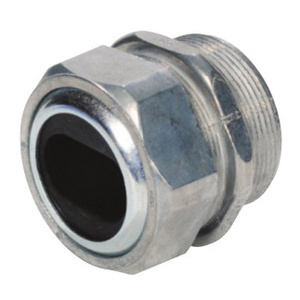 Sepco Water-tight connector of trade size 1-Inch, features zinc die-cast construction. It is perfect for use with service entrance cables and accepts three conductors of size 4-AWG. This U-flat style connector comes with rubber grommet and steel washer. Connector is UL listed and CSA certified.